Happy D2 Handrinse Basin, an excellent creation of Duravit, has the distinction of receiving the Red Dot Award for its spectacular style and functionality. 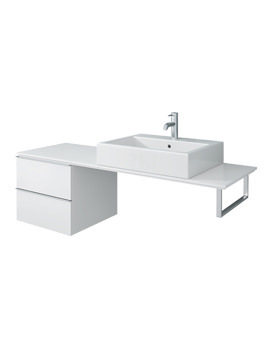 Now, with the range of D2, Duravit is all set to create more wonders. Elegantly designed, this pure white ceramic basin comes with an overflow. The gorgeous and trendsetting basin is durable and sturdy. The one-tap-hole washbasin will add elegance and sophistication to the bathroom. 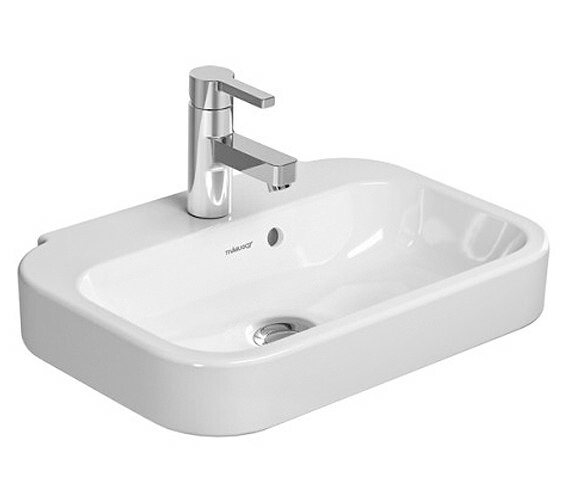 Easy to install, the hand basin is backed with a 5 year warranty from Duravit. 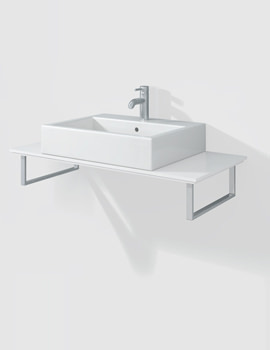 Duravit introduces this elegant and smart looking pedestal to hide the siphon of the basin and provide a beautiful look. Please note the image shown is for illustration purpose only. I am a trading designer, Duravit Happy D2 is good quality, the subtle round edge softens the whole room and it goes well with contemporary style tap, as well as slightly more antique/traditional type taps. I see myself suggesting this for other projects' clients in future. No, this basin is designed to use with semi pedestal available as optional. 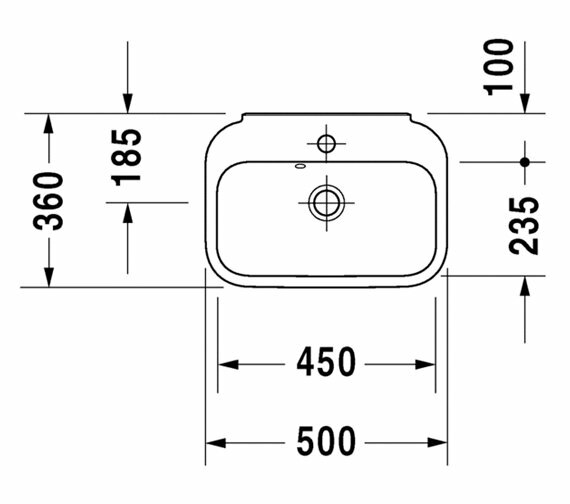 hello, is the duravit happy d wall hung 500 wide basin available without tap hole, please? If so, I would like to order one, please. This Basin comes with 1 tap hole only. 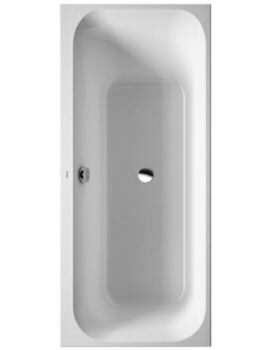 I have been told by Duravit to use fixing bolts (code: 69510000) to mount the Duravit Happy D2 500 x 360 basin on the wall. However, they wouldn't recommend using this bolts for stud walls. 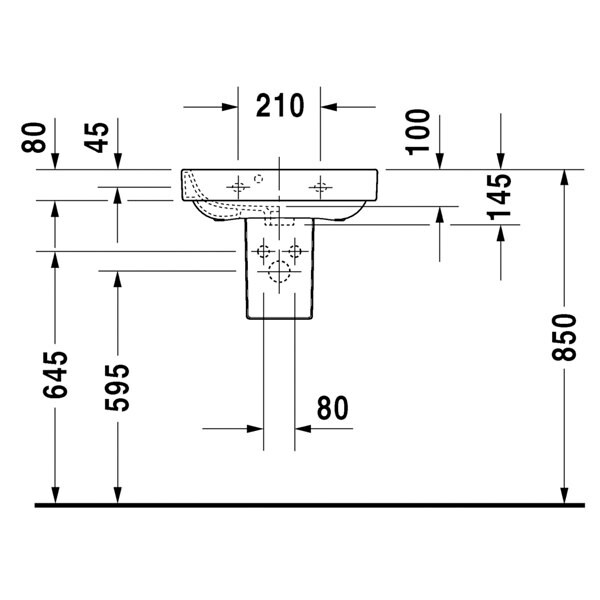 Have you got any recommendation on fixing bolts for stud walls (boxing out wall for services with 18mm plywood sheet to bathroom side)? We supply fixings for a hard wall/Brick wall - am sorry I cannot advise on suitable fixings for you. Please consult your installer or a DIY outlet. 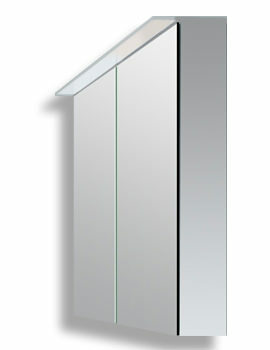 Yes, it can be wall or pedestal mounted. Semi pedestal is recommended to use with this sink. This basin comes with one tap hole in the middle.